Tantra body when purposefully awakened has the potential to be a vehicle for a true merging with your own Soul and your own spirit. Ability to step out of your left brain that runs your reality and connecting with the right brain is the secret to living in your Tantra body. It is the left brain that demands techniques. It is the left brain that believes it’s superior that creates the illusion of separation. Left brain concept of Tantra Body. When we step into our left brain our concept is linear, unable to flow. The left brain considers itself as individual or separate from the all. It is compartmentalised where the compartments do not really make sense in real life. It keeps records or files of data. What the left brain needs to function in reality is to merge or partner with the right brain. This entry was posted in De-stress, erectile disfunction, Flat world attitude, Happiness, Healing, Health Healing, Kundalini, Massage Therapy, Pelvic Rock, Primal Energy, Problem, stress, Tantra, Tantra Energy, Tantra Reviews, Tantra Solutions, Therapeutic Massage on 21/12/2014 by Tasha. 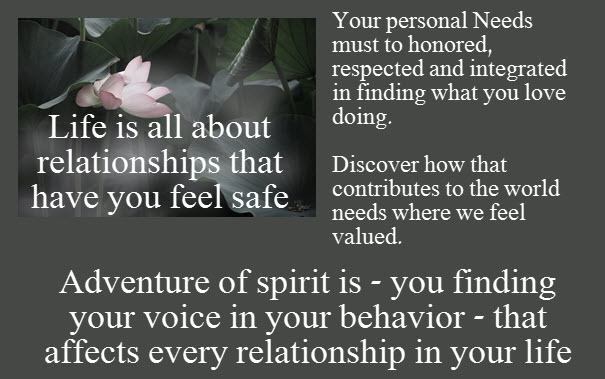 Adventure of Your spirit is about you finding your voice in your behaviour. Needs must to honoured respected and integrated in finding what you love doing. In this self discovery adventure, identify how that contributes to the world needs where you feel valued. Attitude of spirit is your personal Adventure. Comparing, competing for a sense of personal worth moves us away from finding our voice. This creates a profound alienation from everyone around us. These days we are under tremendous pressure to either compete or to comply. Everyone is also under pressure to follow the latest trends without questioning their purpose or validity. This entry was posted in Authentic Kahuna Massage, De-stress, erectile disfunction, erectile disfunction, erectile dysfunction, Erectile issues, Flat world attitude, Happiness, Healing, Kahuna Massage, Kundalini, Massage Therapy, Pelvic Rock, Premature ejacualtion, Primal Energy, recharge, refresh, stress, Tantra, Tantra Energy, Tantra Massage, Tantra pleasures, Tantra Reviews, Tantra Solutions, technique, Therapeutic Massage, wellness on 20/12/2014 by Tasha. Love Mastery Initiation the Art of Love that brings compassion and cooperation into your life. Love mastery is for quality relationships. The quality of relationships that you’re in and the Friends around you determine the quality of your life. If your life is a mess your relationship is a mess. If you relationship is a disaster there is very little meaning in life. First thing we did need to do is discover the feelings that we have in our body reality on our radar. They detect the imbalances that we need to learn how to listen to those dealings. Understanding love and Love Mastery begins with ability to receive the subtle messages that your body is continually sending you. Once you learn to hear your needs you can satisfy them. Then your needs of your physical being and the soul body can begin to be understood and developed. Only then can you ask someone else to fulfil any aspect of you because you communicate with clarity. You communicate with clear understanding of what that need creates in you life. 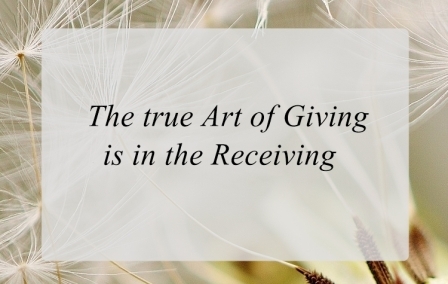 To understand this quote the true art of giving is on the receiving. That means being able to receive the knowledge of the message that person or that animal is sending you. Seeking give from the place of their requirement not what you believe they need. That is the true art of giving. Giving what they need with their needs first. By doing so you will be by your example teaching them how to put your needs first when you’re asking. Love Mastery and Heart Opening Secrets. The true Art of Giving is in the Receiving. When we are in the moment, we feel the beauty of connection. In that connection we discover feelings that open us up to the environment around. Your ability to hear needs of others is clouded by what you need. Often that need cannot be fulfilled because you feel alone. Fear and regret undermine love and loving relationships. This leads to suffering, separation and drama. In Love Mastery you learn to detect people’s intentions. Deepest frustration is being around people who are you don’t follow through all the way. And that is also your biggest challenge because you have not b een around the right people so in love mastery you learn how to detect the right people in your life. It seems everyone is living in their problem. This leaves you unable to interact with your truth. Your truth is inside you. You remain closed off to who you truly are. If you stop and observe, you’ll discover the you are living in a mental self perpetuating cage. Take another look and see there are no bars containing you. Therefore you are free to experience, learn, absorb new feelings that are distinctly yours. Begin by making different choices. There is only one way to do this. Be around people who don’t just try things then talk about them. 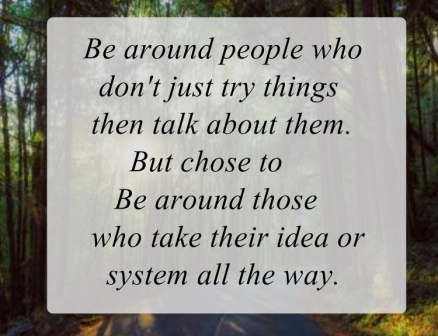 Be around those who take their idea or system all the way. Also ensure you check any authority and their source of belief. You may be surprised to find that their teacher was a dispassionate teacher just out for themselves at any cost. On the way they must be willing to make adjustment. Willingness to make adjustments is what cultivates your awareness is. Doing something differently gives your a new reference point. There is always something deeper going on beneath the façade as you go through the motions of conforming. Do not be beige in your search for meaning. Connection shines the light on life. When you see clearly then life begins to take on meaning. When you have learned the Art of Receiving then you can support your partner in deeper life experiences. When you are in joy; pleasure is automatic. If you seek pleasure you miss joy and bliss of life. Knowing the differences brings out the best in you. When you are in pleasure of the meaning of life and relationship; intimacy unfolds naturally. Love Mastery Reality and Inner Realisation. When we feel love for our life we send out frequencies. Unconscious energies in others pick up on these energies and their frequencies change as they are touched by your love energies. These energies of love awaken the unconscious part of you. They feel a connection to you because some part of them feel that love within themselves. You teach people how to treat you by the energy you choose to flow within your body. As you change this frequency; of your mind your body responds. here is a definite physical transformation that occurs within your body that touches people. When love energy is flowing others around you feel loved and precious. Their life takes on a new meaning. This entry was posted in De-stress, Flat world attitude, Happiness, Healing, Health Healing, Kahuna Massage, Kundalini, Massage Therapy, Messages, Primal Energy, Problem, recharge, stress, Tantra, Tantra Energy, Tantra Massage, Tantra pleasures, Tantra Solutions, technique, Therapeutic Massage, wellness on 19/12/2014 by Tasha. 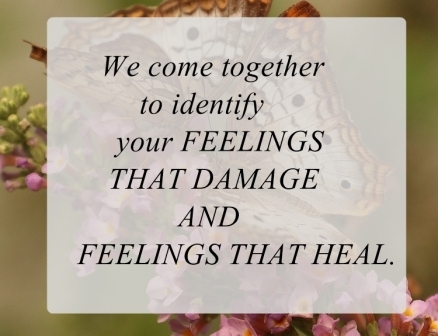 What we really want to identify is your FEELINGS THAT DAMAGE AND FEELINGS THAT HEAL. Vibrational feelings are at all times within our bodies. Because most people tend to live in their heads vibrational feelings are not felt till activated. Everything in the universe is vibration. Every word you utter affects people around you for days. Every thought you think is a frequency that travels beyond your b rain. You know that your thoughts can keep you awake all night. Or they can propel you to new heights. That includes the phone, computer, the apple. Vibrational feelings are in the meal you’re about to enjoy. Vibrational feelings are activated when you are with your family, your lover, when you’re driving you are in another vibration. When with your lover your vibration often adapts itself according to the emotions your are feeling at that time. What we really want to identify is your FEELINGS THAT DAMAGE AND FEELINGS THAT HEAL. Then follow the feelings that heal. These feelings will always keep you safe and on track living the life you love to live. Free your genius open your mind to pleasure of Vibrational Feelings that create the life you love to live. When you free your brain from your intellect (which is our conditioning). Only then can you enter into the intelligence of your DNA. Science has now demonstrated that it is the energy frequency that often begins with thought and the environment we end up in that affects how our DNA vibrates in cooperation with the feelings. When you align yourself with the feelings flowing withing you need direction. Direction prepares you to explore all your desires. Identifying vast variety of Vibrational feelings and the meaning of each one of the vibrational feelings. Within these vibrations you are experiencing your world. This is foundation of self mastery. The way of the genius is ability to access your own knowledge to pleasure feelings from within instantly. Like Albert Einstein I provide the environment for you to access your pleasure. Within this environment I guide you to connect to that part of you that naturally flows. You connect with that part of you that’s aching to be connected. We can never create through resistance. We’ve have been conditioned by society to resisting & holding back pleasure all our life. You are the genius within you. Genuine Tantra accesses our ecstasy immediately just like these people in the videos on this page and many others in reviews page. Please don’t just skim through the pages or you’ll miss the most significant experience in your life. Begin by exploring your inner journey your personalised adventure of Tantra beginning with the VIDEOS ON THIS PAGE. This entry was posted in Authentic Kahuna Massage, De-stress, Fitness, Happiness, Healing, Health Healing, Kahuna Massage, Kundalini, Massage Therapy, Medical, Pelvic Rock, Primal Energy, stress, Tantra, Tantra Energy, Tantra Massage, Tantra pleasures, Tantra Solutions, Therapeutic Massage on 19/12/2014 by Tasha.